At least, that's what nearly all of the respondents in a new study on interpreting facial expressions thought. "We really were astonished," said Juergen Kornmeier, a neuroscientist with Germany's University of Freiburg and co-author of the study, according to Physics.org. Mona Lisa's expression has always been called ambiguous — the most ambiguous expression in all of Western art, perhaps. It made her a fitting subject for Kornmeier's team's study of factors that help humans interpret visual cues like facial expressions. 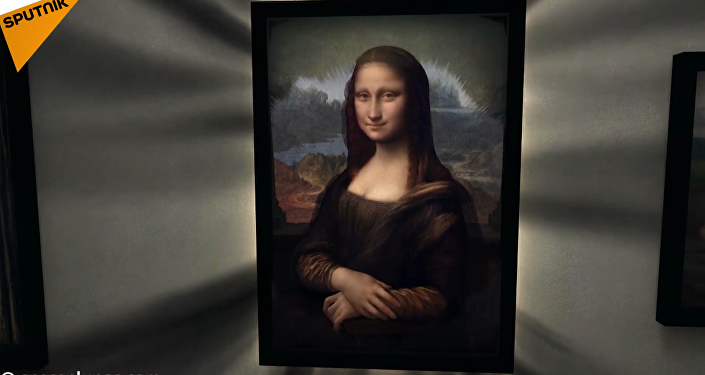 The team took a copy of Leonardo da Vinci's masterpiece and manipulated the model's 16th century smile, turning the corners of her mouth up by degrees to make four happier Mona Lisas and turning them down to make four sadder ones. The nine images were then shown to 12 study participants 30 times, being reshuffled randomly every time. The participants had to describe each image as either happy or sad. "Given the descriptions from art and art history, we thought that the original would be the most ambiguous," Kornmeier said. Instead, a whopping 97% of the time, participants described the original picture as happy. Next, the original Mona Lisa was mixed with eight sadder versions. This time, the original was still identified as happy, but the sadder versions were perceived as somehow even sadder than in the first experiment. According to Kornmeier, the results show that our recognition of happiness and sadness depends on context — there is no "absolute fixed scale of happiness and sadness in our brain." Instead, our brains scan the field of human expression, and alter our estimates accordingly. Understanding this may help in the study of psychiatric disorders, the researchers said. This is not the first time the Mona Lisa has had her deepest feelings analyzed.The Weekly Observer points out that a 2005 study by University of Amsterdam researchers came to a similar conclusion using emotion recognition software, which took into account a variety of facial features, including the curve of the lips and wrinkles around the eyes. The image was found to express 83% happiness, 9% arrogance, 6% fear and 2% anger.